I have not lived with my parents since 1983. I last lived with them in the US state of Wisconsin before I went away to university. My parents now live in New Mexico and have since ~1987. I visit them twice a year since moving to Australia – usually in May and December. Each time I have visited them over the last 7 years, my mother has told me that I have “mail waiting” for me. It started with a piece or two, but it amounted to more that 20 pieces of mail this month. The interesting part of the May mail stack is there were only two pieces of mail from charity. Those pieces came from a conservation group and they were premium packs – address labels! If I want to, I could send lots of letters out with my parents return address! The remainder of the mail was for mobile phone offers (3 pieces), catalogues for clothing (3 pieces), replacement windows (3 pieces), life insurance (5 pieces), and blank cheques from my United Airlines credit card encouraging me to transfer balances from other cards (6 pieces). 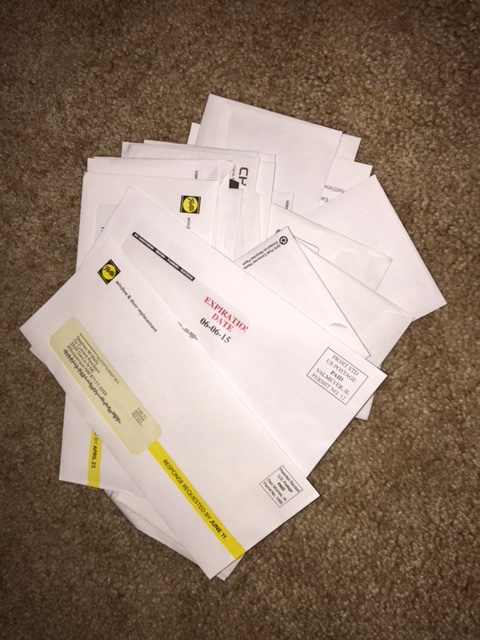 You might suggest 20 pieces of mail in ~4 months is not a lot. You are right. Nonetheless, 20 pieces at an address I never lived, in a state I have only spent short holidays in, is quite puzzling.